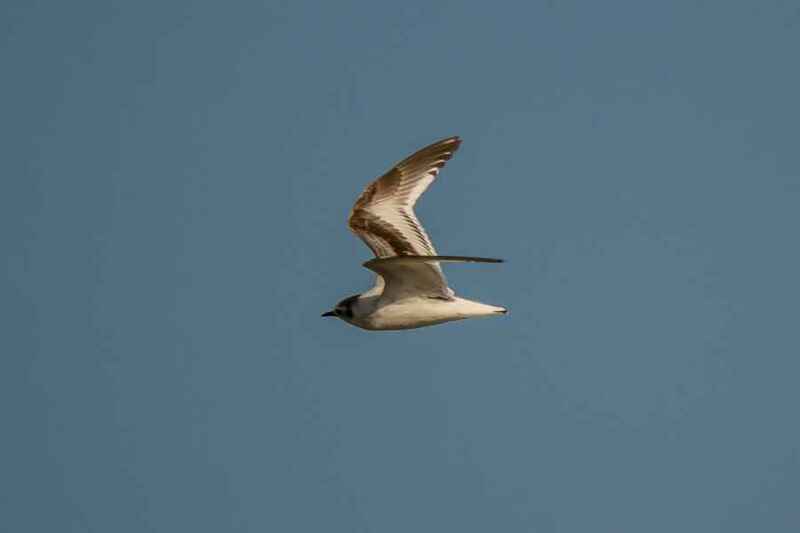 The Little Gull is another species that can usually only be seen here during the winter, though there are some that move through during early Spring. 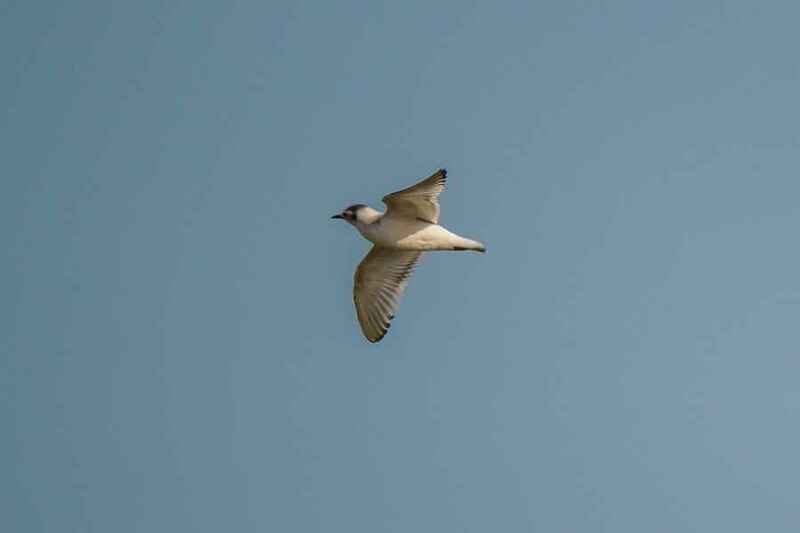 It is also another species that keeps strictly to the coast and can be mistaken for the far commoner Black-headed Gull or again the Mediterranean Gull. 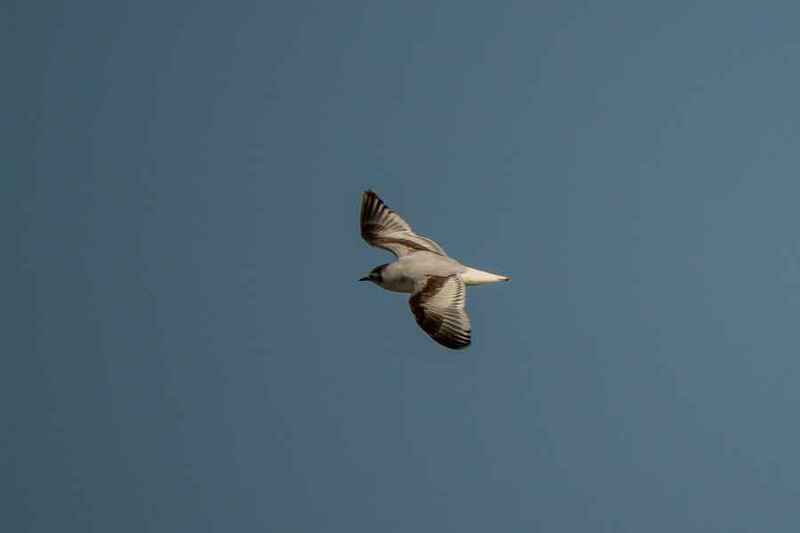 The Head is as dark as the Med Gull, but shows no white orbital ring while the upper-wing surface reminds one of the Black-headed Gull, but this species has an easily seen white trailing edge to the wing. The Head could be a cross between the other two species; while it has the "ear" of the Black-headed it has the "cap" of the Med. rather than the single line of the Black-headed. Great care should therefore be taken before a positive id can be assigned, but these pointers are useful, and of course, as its name suggests, it is appreciably smaller than either of its two contenders.